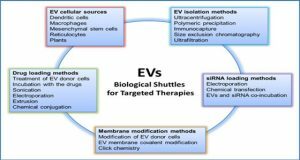 This review focuses of the transcriptome (RNA) of these extracellular vesicles. 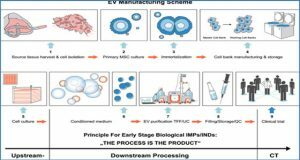 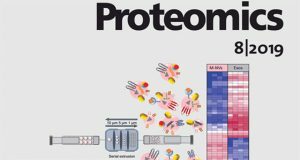 Based on current data, these vesicular components play essential roles as conveyers of intercellular communication and mediators of many of the pathological conditions associated with cancer development, progression and therapeutic failures. 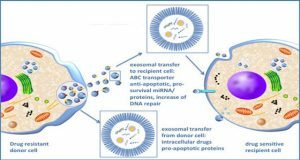 These extracellular vesicles express components responsible for angiogenesis promotion, stromal remodeling, signal pathway activation through growth factor/receptor transfer, chemoresistance, and genetic exchange. 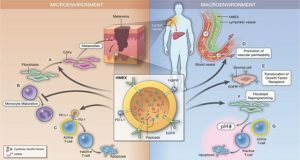 These tumor-derived extracellular vesicles not only to represent a central mediator of the tumor microenvironment, but their presence in the peripheral circulation may serve as a surrogate for tumor biopsies, enabling real-time diagnosis and disease monitoring.